Serina Tessaro has been groomed her whole life to become a Grace--someone to stand by the heir to the throne as a shining, subjugated example of the perfect woman. It's her chance to secure a better life for her family, and to keep her headstrong and rebellious younger sister, Nomi, out of trouble. But when Nomi catches the Heir's eye instead, Serina is the one who takes the fall for the dangerous secret her sister has been hiding. Trapped in a life she never wanted, Nomi has only one option: surrender to her role as a Grace until she can use her position to save Serina. But this is easier said than done.... A traitor walks the halls of the palazzo, and deception lurks in every corner. Meanwhile Serina is running out of time. Imprisoned on an island where she must fight to the death to survive, surrounded by women stronger than she is, one wrong move could cost her everything. There is no room for weakness on Mount Ruin, especially weaknesses of the heart. 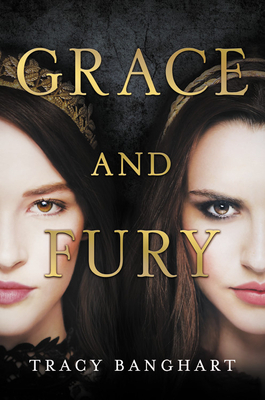 Thrilling and captivating, Grace and Fury is a story of fierce sisterhood, and of survival in a world that's determined to break you. Tracy Banghart grew up in rural Maryland and spent her summers on a remote island in northern Ontario. All that isolation and lovely scenery gave her the time to read voraciously and the inspiration to write her own stories. Always a bit of a nomad, Tracy now travels the world Army-wife style with her husband, son, and several mischievous fur babies. She wrote Grace and Fury while living in Hawaii. "The Handmaid's Tale gets a YA twist in this debut...The pace is quick, the ending promises a sequel, and the plot couldn't be more relevant. Buy an extra copy--this should find an audience." "Banghart's prose is florid and engaging, and she expands the drama explosively. Fans of The Hunger Games will appreciate the similar plotting in this first installment of a planned trilogy. An easy hand-sell that will find a willing audience in those who have enjoyed Dhonielle Clayton's The Belles and Stephanie Garber's Caraval."